Doors open at 7pm. Band on stage at 7.30pm. They will perform all of EC’s classic songs including Wonderful Tonight, Tears in Heaven, Crossroads, I Shot The Sheriff, Cocaine, Lay Down Sally and of course Layla! There will even be an “UNPLUGGED” segment. The band was formed in 1985 in Newcastle upon Tyne long before the term “tribute band” was invented, and named themselves ”After Midnight” after Eric Clapton’s first solo hit. In guitar/vocalist Mike Hall, they have a front man who not only looks like Eric, he sings and plays guitar like him too! In 1999, Mike won a national look-alike competition held at Madam Tussauds in London. Mike has met Slowhand twice, and even received a message of encouragement from the guitar maestro (written on a Concorde menu). 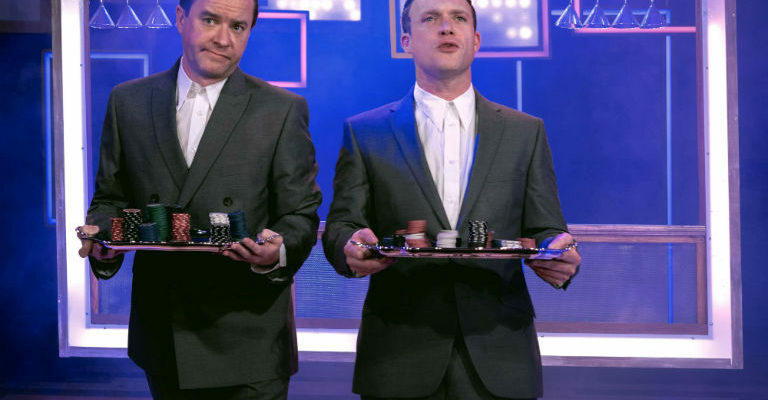 In 2001 they embarked on an extensive tour of UK Theatres. 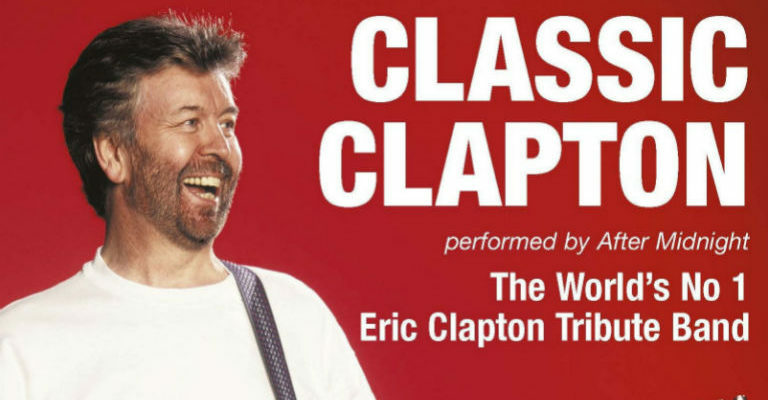 They called the tribute show “CLASSIC CLAPTON”. Since then, they have continued to perform throughout the UK and Europe including concerts at The Royal Festival Hall, London and a triumphant appearance at Glastonbury Festival in 2002. In the past few years they have performed numerous concerts in Europe including Spain, Estonia, Holland & France. In 2009 they appeared for the first time in Mumbai. They were invited back for 3 more concerts in India in 2016. This included performing in front of 3500 people in an open air sports arena in Mumbai. In March 2017 they appeared in Colombo, Sri Lanka. In the past 33 years CLASSIC CLAPTON has become something of a rock institution. CLASSIC CLAPTON comprises 4 excellent musicians:- Mike Hall (lead vocals/guitar), Paul Warren (keyboards/ backing vocals), Danny Davison (drums) and Dave Robson (bass guitar /backing vocals). Dave is a former member of chart band Geordie. In fact he was with them at the time Brian Johnson left to join AC/DC. Front-man Mike was born in Durham and keyboards player Paul was born in Middlesbrough. CLASSIC CLAPTON has released three albums. Firstly “THE MUSIC OF ERIC CLAPTON” contains brilliant cover-versions of 17 Clapton Classics. Their second is a live double CD ”CLASSIC CLAPTON Unplugged” recorded at Belfast Waterfront Hall. In 2005 they released their third album “CLASSIC CREAM” – featuring 20 songs made famous by the sixties supergroup. All three albums will be available at Middlesbrough Theatre. Eric is now in his seventies. His recent tours unfortunately have visited only a limited number of large UK arenas. If fans want to hear all of his hits performed in more intimate surroundings, they really should attend a CLASSIC CLAPTON concert. The whole of Clapton’s illustrious career will be covered including Cream, John Mayall’s Bluesbreakers, The Yardbirds, Blind Faith, Derek & The Dominos and the solo years.